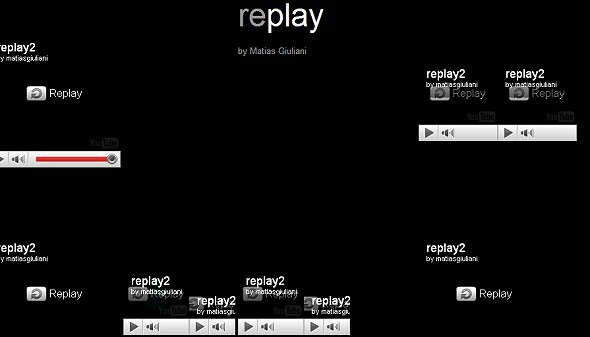 093.Matias Giulani – JavaMuseum 2010 – Celebrate! was educated at UCA University of Argentina where he completed his studies in both Composition and Choral Conducting at the end of 2002. His composition teachers were Rosso, Sad, Viera, Lambertini and Kropfl. I made a video. I uploaded it to youtube. Then I made a html webpage with several embeds from the same video. This causes streaming interruptions so the piece is different each time you play it (refreshing your browser) but at the same time, it preserves the macro form: all the videos will be played “da capo al fine”. I made three videos. One of it has an ordered text. This text talks about the process of this piece it self. The other two videos are the same words with other orther: like reading a poem but dosordered. After a research I put 4 youtube videos building a string quartet. This ensemble was used by almost all the composers within the academic music history, from Haydn to Mozart, Schubert, Beethoven, etc. As an “academic composer” -not comparing me but talking about the enviroment I belong- this is my string quartet.